The ABaF Awards celebrate the best strategic and creative connections between the arts, business and donors in South Australia. 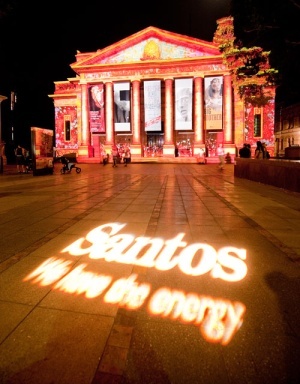 Santos and the Adelaide Festival teamed up in 2009 in preparation for the 2010 event with Santos aligning themselves as 'Community Partner' of - A Little More Light and The Northern Lights, two community events highly dependent on energy and power. It was a perfect fit, with both events attracting over 476,000 people. 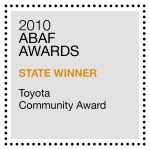 As state winners the Adelaide Festival and Santos now go into the running for a National ABaF Award. Paul Grabowsky will represent the Adelaide Festival at the National ABaF Award dinner on 21 October, 2010.